Lovely, elegant dining suite perfect for Mexican coastal climates. 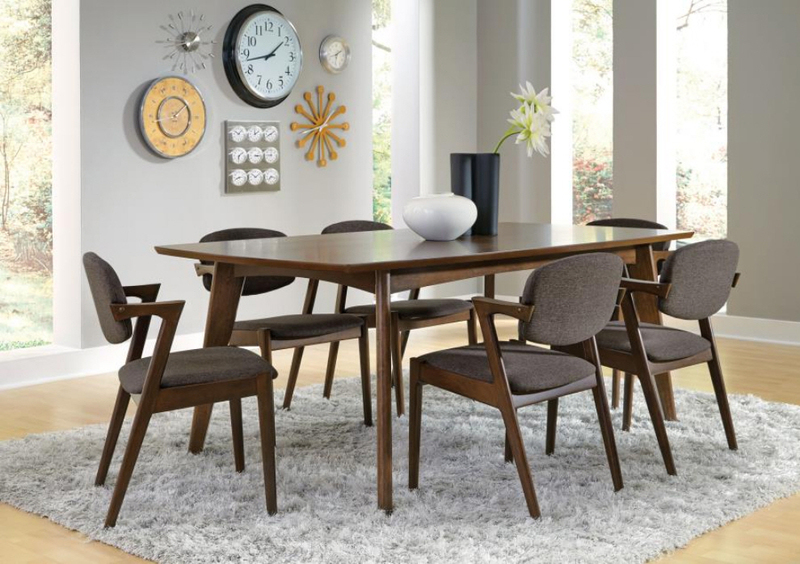 Meet the new mid-century modern collection! This is a lovely, elegant dining suite in solid Asian hardwood and walnut veneer perfect for Mexican coastal climates. 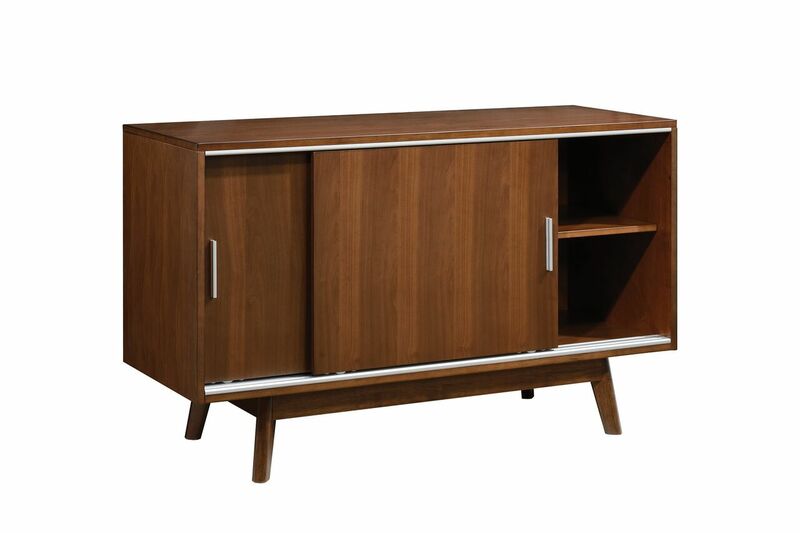 Featuring protective varnishes and exquisite finish, it certainly calls to mind the very popular mid-century modern aesthetic with great panache! 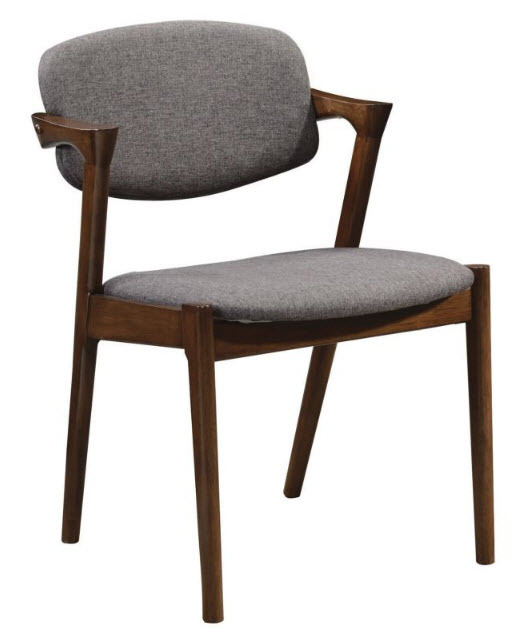 Chairs have a classic design offered in grey fabric or cream fuax leather. Chair style substitutions available. Suite includes table for six, chairs and stunningly beautiful buffet server.